I love the look that only time can produce, we often call it patina. There is however a fine line between patina and just being rusty. This 1937 Packard 115 Club Sedan is on the fence. It has patina but is almost to the point of just being rusty. It will need extensive work to the interior and engine, but would look fantastic left as is (well if the rust isn’t too bad at least)! The seller claims the floors and trunk are solid, so it might be possible to leave it looking aged and worn. 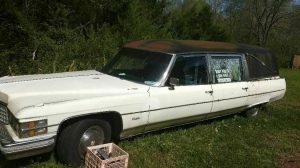 Find it here on craigslist in Wallingford, Connecticut for $8,500. This tip comes from Robert R! 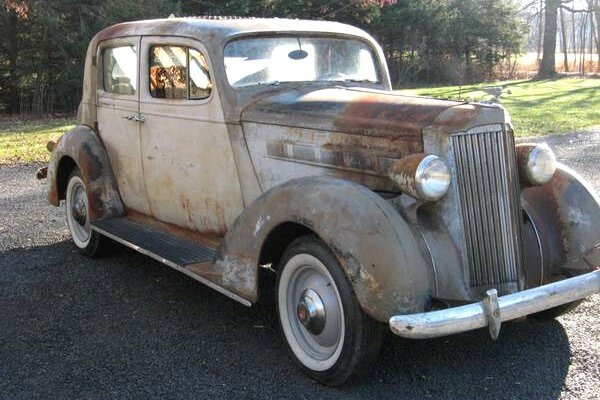 So is this Packard covered in patina or is it beyond patina now? 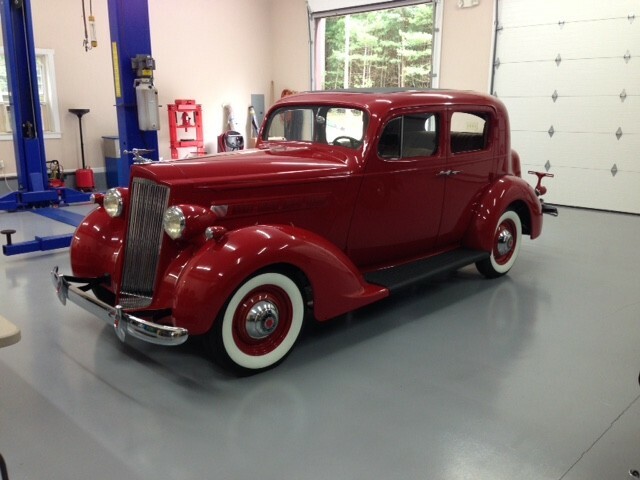 This is a car I would have pursued 7+ years ago – it was my Father’s favorite car – he would talk for hours about one he drove, and I would have really enjoyed working through bringing this car back to life with him. Unfortunately, that will no longer happen. Too bad really, this looks like something I would enjoy taking on. The impetuous is no longer there. As much as I love patina, this is one that needs to be restored. Truly a beautiful automobile. This is the 912 of the Packard line. They were made as a lower price car that would increase Packard sales. Packard built a new automated production plant about this time to build these cheeper cars. They are good cars but not the legendary quality of the bigger cars. For me, it is over priced. It costs the same to rebuild as the bigger hand built cars and will not have the potential upside of the more expensive cars. 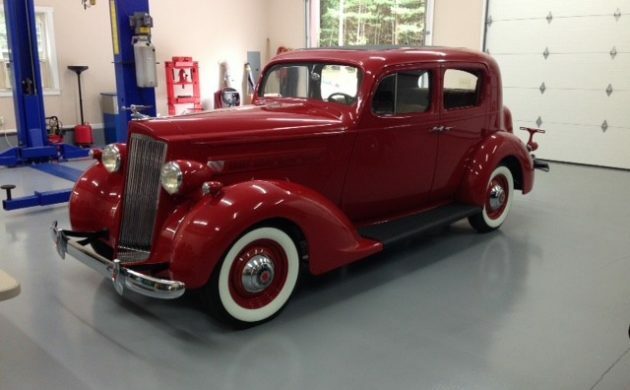 I love Packards in general and this is a fine car but with 160’s and 180’s available in this price range, it would not be the best choice to put your time and treasure. I had an antique mall in 2003 and wanted to always have an old car out front as an attention getter. Found a ’37 Packard 115 on Ebay and bought it based on the photos, from Canada. 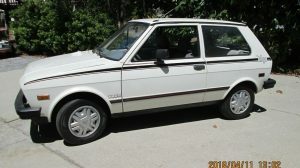 It was the only car I’ve ever owned (and I’ve had over 100) that was near concours level restoration- (probably restored in the mid ’90s) and kept immaculate. All for under $10K. My have things changed in 10 years! I love the lines on this car! I had a 1937 Packard – a 120CD – for my 1st car in High School in PA – as a teenager in the late 60’s it was certainly my pride and joy but a relic compared to my classmates Mustangs, GTO’s , Chevy SS’s, or the hot Rods in town – I badly wanted to drop a 327 in it but luckily my Dad vetoed that idea. 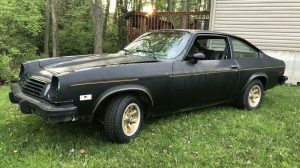 It stayed in storage when I went away to college and I never drove it again but I thanked him when I sold it in original condition over 30 years later. This 115 would be a work of love and it looks to be very complete , the styling and roadability would be worth the $$ and effort and you would have a wonderful time enjoying it as a great car but it would never be a profitable investment – and how many old cars are profit centers anyway! Never was a fan of that whole patina crap. This one is too rusty. 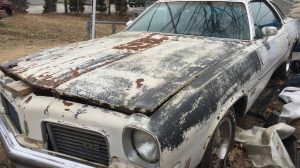 The term patina is overused to the point that when one hears patina used in the discription of a car, they think it’s junk. Attached is a recent photo of our all original 1982 WS7 Trans AM with 24,852 actual documented miles on it. This demostrates a car with patina. The car wears its original paint, but has some PATINA on it. Basically the car is original with full documentation, but has a few chips and scratches on it. The dings don’t detract from the overall condition of the car, although it obviously does not look new. Some people believe that the minor inprefections actually add some character to the car. That’s what the word patina is supposed to mean. I still like the lines on this Packard, but it does need a full restoration, and the word patina has no place in the description of this car. I agree with your take on patina. I look at cars and trucks where the patina has been painstakingly preserved. Sorry to the others who like patina but they look like they need a new paint job. I might add that some think that covering the rust with clear preserves the body/patina. What really happens: Clearcoat seals off the top and drives the oxidation process inwards where the REAL corrosion begins. You’re far better off to spray Clear over bare metal. Other than that I like the car. It deserves a total restoration. I agree with a previous comment that it looks like there was a fire at one time. I’ve repaired lots of fire damaged vehicles and that definitely looks like fire damage.